We don’t have a lot of football (soccer) photobooks in the library. Actually we do not have that many in Sports in general – but we have some. I thought I should mention that the largest, most exciting and most important sports festival on the planet shall be opening in Brazil this Thursday. The World Cup. I am a fan of the beautiful game – though nowhere near as insane and as fanatical as many around the world. Here is a small selection library football related books that I also quite like; to get folks in the mood for the oncoming weeks of World Cup mayhem and mania. Buenos Aires : Retina, 2007. Di Mario photographs the players of the “potreros,” abandoned fields where boys from poor neighborhoods play football in a graphic documentation that merges anthropology, fashion and visual poetry. This book includes an autobiographical prologue by famous footballer Diego Armando Maradona (one of the most amazing footballers ever and an expert at using his hand to score goals in the World Cup of 1986). 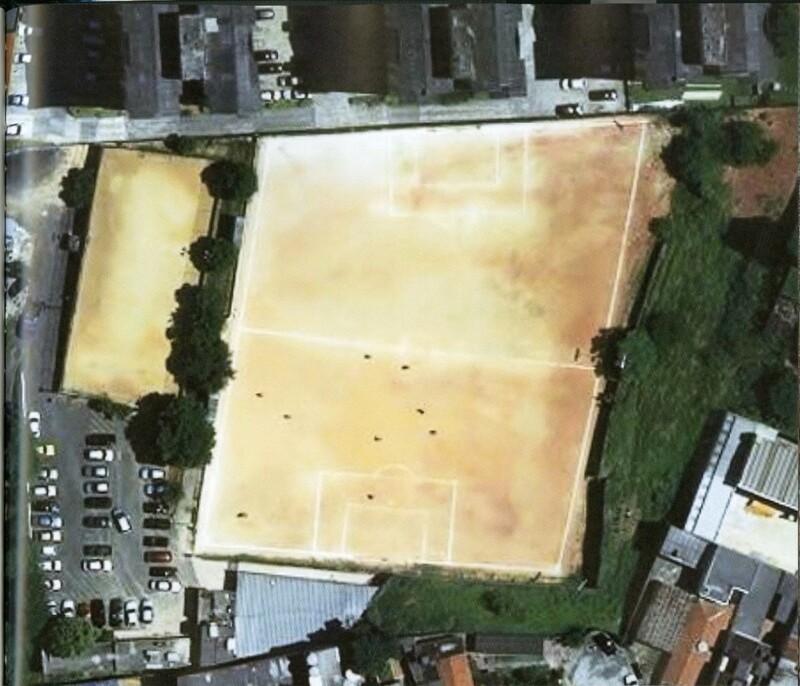 O Campo : Brazilian Footbal Fields / Joachim Scmid. O Campo, or in its translation The Field, is a photographic compilation of football fields in Brazilian cities. The images were taken via satellite and they show the rather oddly shaped football pitches that seem to be built wherever possible – the desire for playing the game has clearly surpassed and ignored the limitations of natural topography and FIFA’s laws of the game. According to the official rules and regulations (which are included in the book as an epilogue) you would not be allowed to play football on any of these fields. However, the careers of many of the world’s best football players began on these very same fields despite their askew angles, odd proportions, mis-shapen border lines and pitch markings. Studying the architectual contexts of these fields we get an idea about the social context where these players come from. William Klein : 7 citta + i mondiali : Torino ’90 / [testo di Guy Mandery]. Milano : F. Motta, c1990. 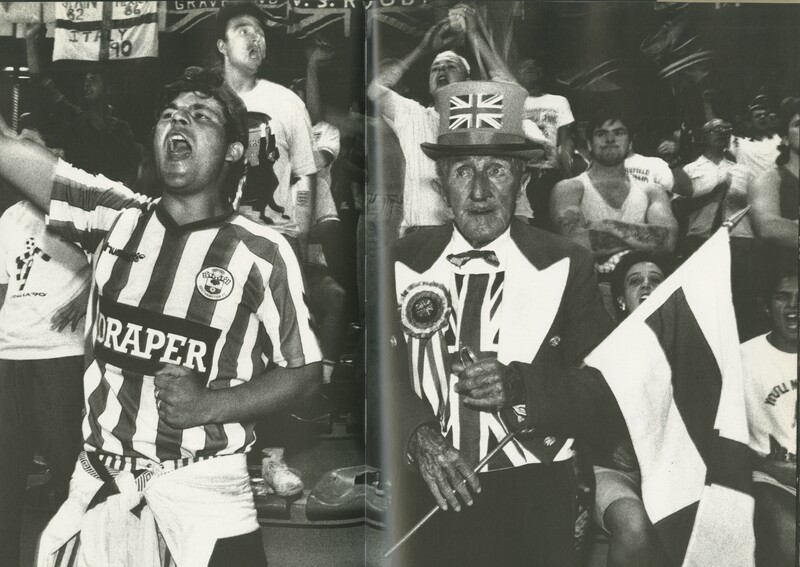 William Klein documents the World Cup in Torino Italy in 1990. This is a book of infatuation with football with many images of the fanatical and the devotional nature of the game. It is actually the smallest city Klein ever documented for a monograph. Apparently this book is a somewhat scarce item and the story is that the city of Turin who had published the book to celebrate the World Cup only distributed the books in Turin, and when Italy was knocked out in the semifinals they were so upset they stopped giving them away and eventually most of the books were pulped. I hope everyone gets to see a few games and enjoy the spectacle of seeing the worlds greatest sporting event. May the best team win! This entry was posted in artists' books, Events, International, Unpacking the collection and tagged Football, Gustavo Di Mario, Joachim Schmid, Matthew Carson, Soccer, Sport, William Klein, World Cup. Bookmark the permalink.